5 Sometimes we need to do a single-page presentation product characteristics, while the single-page and page content is very much very long, in order to quickly locate the product characteristics node, we use user wheel events js listener, wheel slip or slide triggered by the user when using the touch screen gestures, you can navigate to the appropriate node. 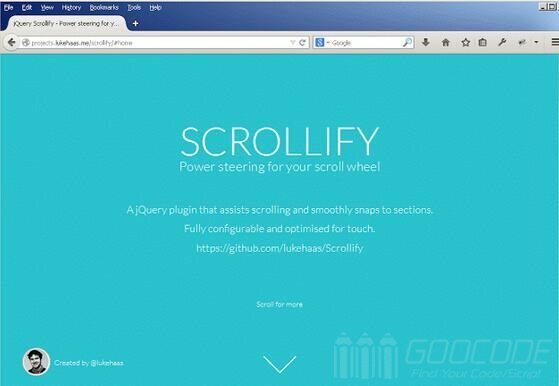 A jQuery plugin called Scrollify is found. Scrollify need jQuery 1.6+ and animation easing plug with buffer to achieve. HTML basic structure is as follows.